Spanish architect Santiago Calatrava has won a competition to design an observation tower for Dubai – a landmark that aims to rival the 828-metre-high Burj Khalifa. 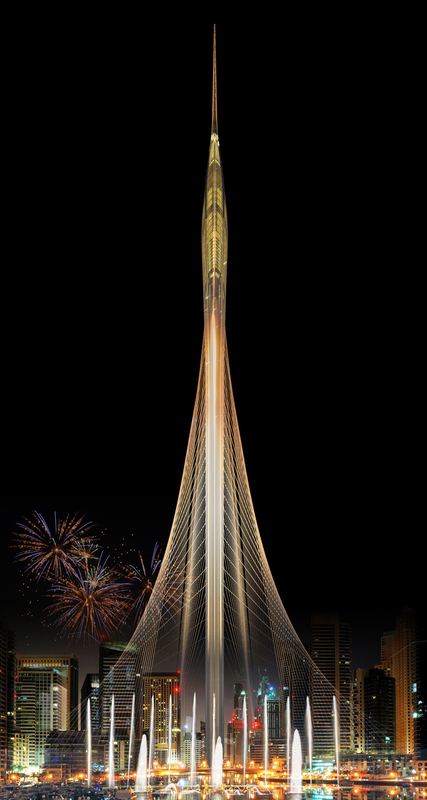 Calatrava fought off competition from five other firms to win the contract for the observation tower on Dubai Creek Harbour, a vast six million-square-metre development along the waterfront of the United Arab Emirates city. It is expected to provide a new icon for the city that already boasts the world's tallest building – the SOM-designed Burj Khalifa. But its proposed height has not yet been revealed. "This architectural wonder will be as great as the Burj Khalifa and the Eiffel Tower," said Sheikh Mohammed Bin Rashid Al Maktoum, vice-president and prime minister of the United Arab Emirates. The design is inspired by the fusion of traditional Islamic and contemporary architecture, according to the design team. 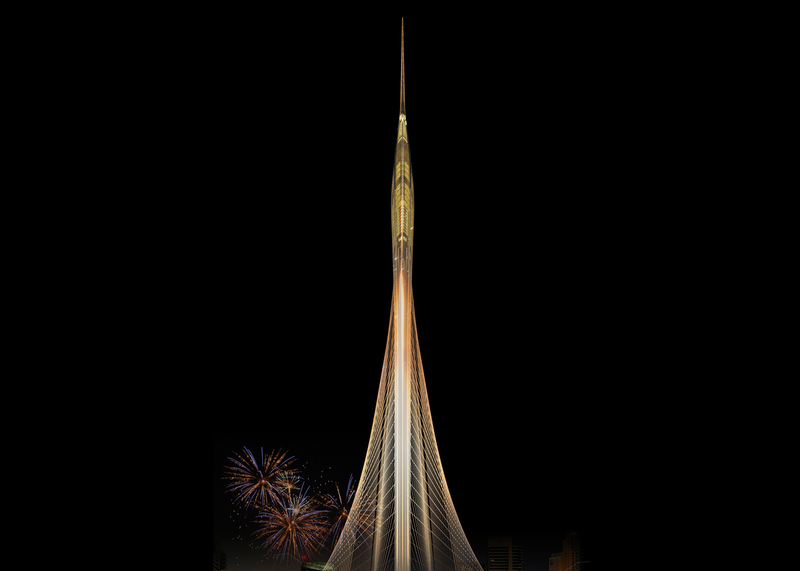 "Dubai is where innovative and revolutionary architecture is making incredible strides," said Calatrava in a statement. "In our proposed design, we have united local traditional architecture with that of the 21st century." A rendering shows an illuminated needle-like structure with an observation pod near the tip of its point. It will tower over inland buildings, and will be tethered to its waterfront site by a series of cables – not dissimilar to those used in Calatrava's Jerusalem Chords Bridge, which is modelled on a harp. The tower and Dubai Creek Harbour scheme are being developed by Dubai Holding and Emaar Properties, the same firm behind the Burj Khalifa. "Combining Islamic architecture with modern design, the tower at Dubai Creek will become a national monument as well as a cultural and tourist destination," added Mohammad Ali Al Alabbar of Emaar Properties. The Dubai Creek Harbour scheme will also include a pair of rocket-shaped residential towers, which the developers say will be the tallest in the world. Dubai is experiencing a "boom" in construction, according to local architects who said the city is bouncing back after the 2008 financial crisis. Other new projects for the city include a huge canal, an underwater hotel and a climate-controlled mega resort.